Can be separated into two twin size beds. Please keep in mind that the top bunk foot board will have the gap that is the entryway for the ladder. End ladder for easy access to the top bunk. Bunk Bed can be assembled so that the end ladder can be on the right or the left, at the front or back. This bunk bed is taller than our standard height mission bed to provide additional headroom - please ensure that your ceiling height can safely accommodate this bed. Gray finish is child safe. 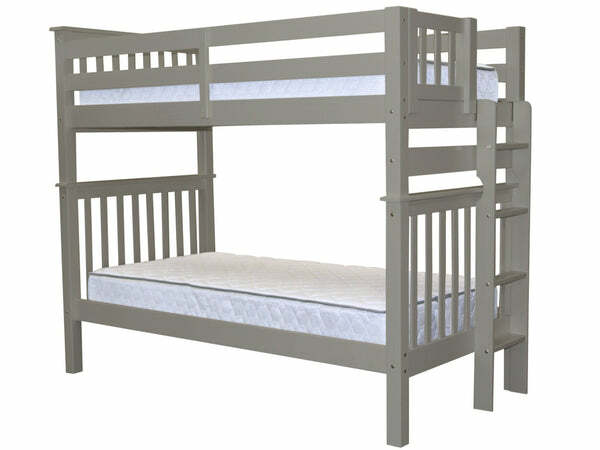 Sale is for Tall Twin over Twin End Ladder Bunk Bed only, excludes Mattress. 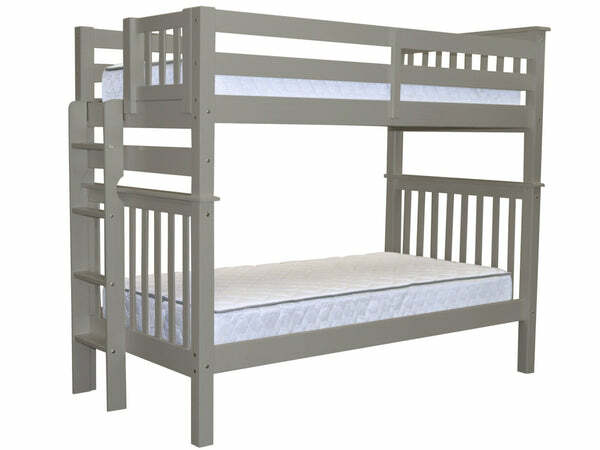 Set includes (4) Side Rails (2) Head Boards (1) Foot Board (28) Wood Slats (4) Guard Rails on both sides for the top twin bunk and (1) End Ladder. 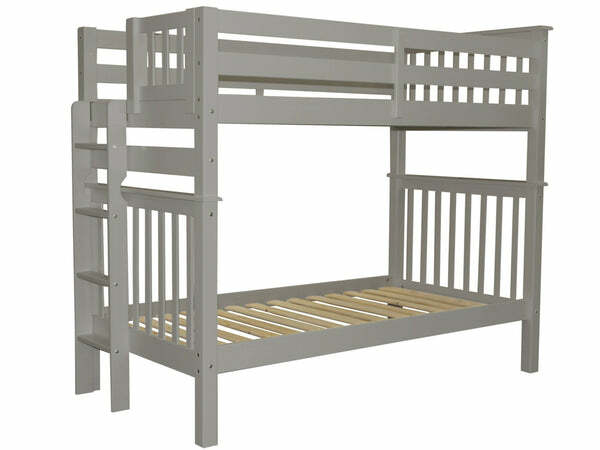 Total bunk bed external dimensions are approx 69 1/2 high x 83 1/4 long x 43 3/4 inches deep. Bottom bunk is approx 10 3/4 inches off the floor - space between bottom bunk slats and top bunk slats (excluding the mattress) is approx 38 inches.